Steph started working as a ‘Saturday Girl’ in the shop at just 15 years old and as a school girl worked during school holidays to earn some extra pocket money. After studying A Levels in Textiles, Art & Design, it was her intense eye for colour and texture along with acquired skills and cut flower knowledge that captured her imagination and creative ideas to become a florist. As well as working as an Event Manager at one of our favorite wedding venues, Steph plays an essential role in the day to day running of the shop as well as encouraging Amanda, Allan and Rose to fulfill their vision within the Topiary Tree structure. 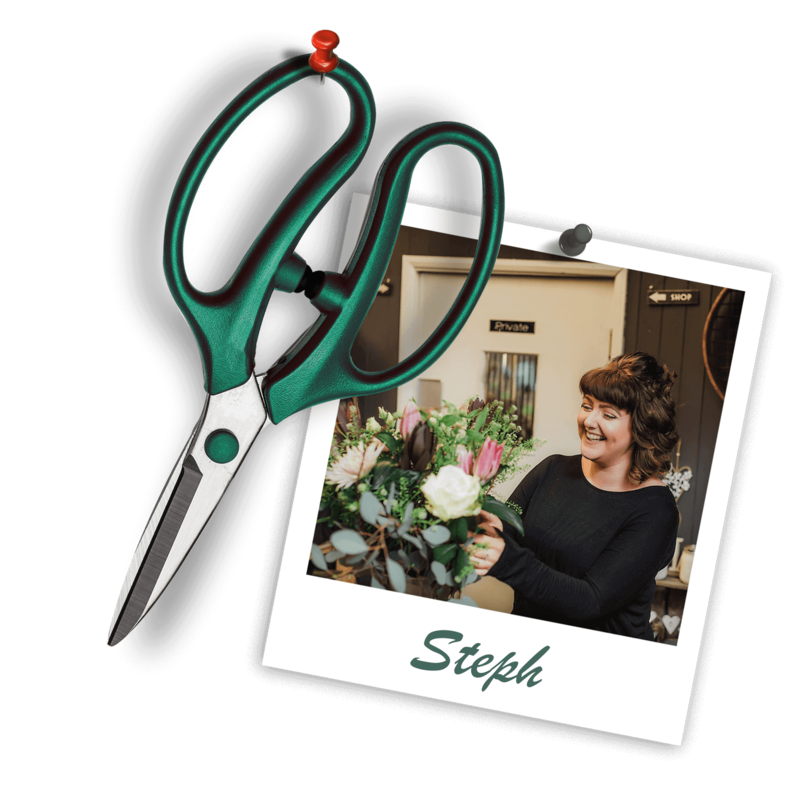 Besides floristry and weddings, Steph also has a passion for ‘borrowing’ her sisters shoe collection and changing hairstyles and hair colour at least four times a year! Originally joining the Topiary Tree Team back in 2002 after meeting Rose on the school playground when collecting their little ones and asking about a career in floristry, Amanda soon become captivated in the florist world and went on to qualify at Reeseheath College achieving a B-Tech national advance award in floristry. With her incredible attention to detail, infectious laughter and charming personality Amanda is totally committed to getting everything perfect for our clients. 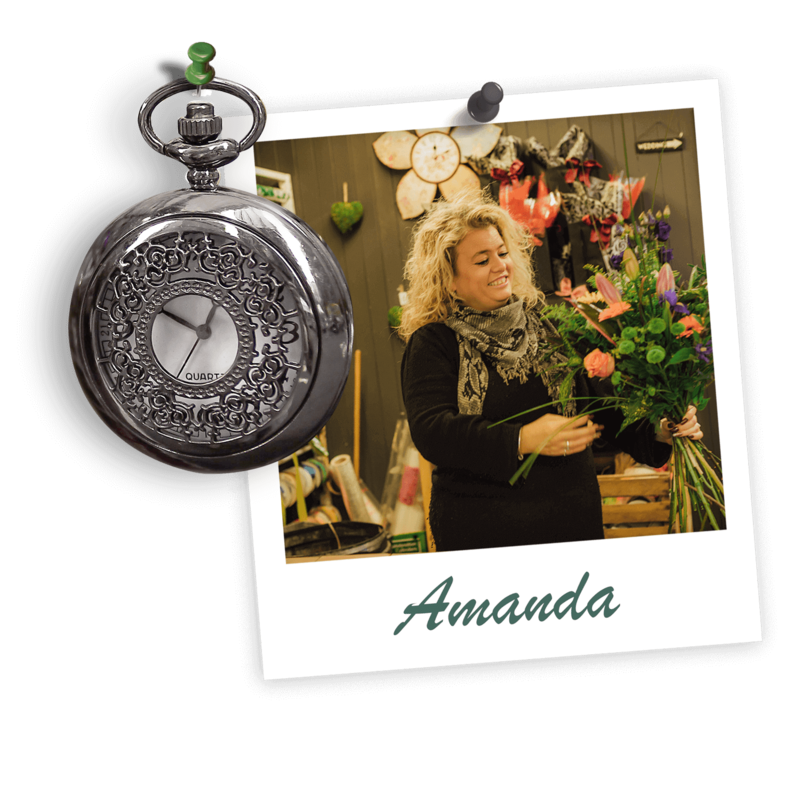 With many years experience working as a florist Amanda loves any opportunity to interact with people on a daily basis and to show off your singing and tap dancing skills on a ‘Mad Friday’ along with Allan who also has a history in dance and performance! Now happy to take a back seat from the daily running of the shop, Rose now takes instructions from her daughter! 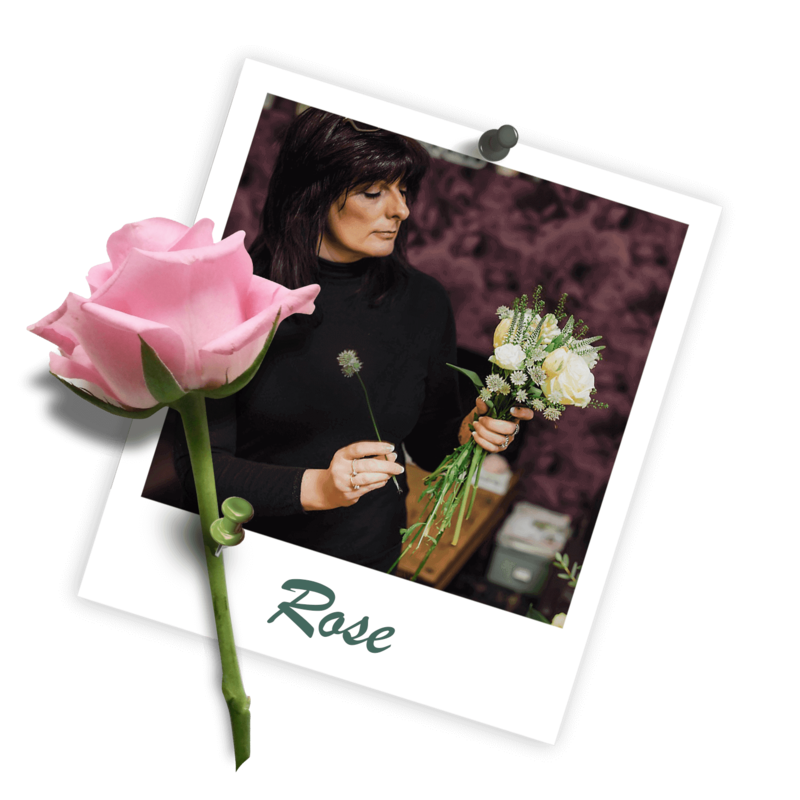 Having gained her floristry qualifications 20 years age, Rose’s enthusiasm for her craft knows no bounds, always keeping on top of trends and often exceeding expectations. 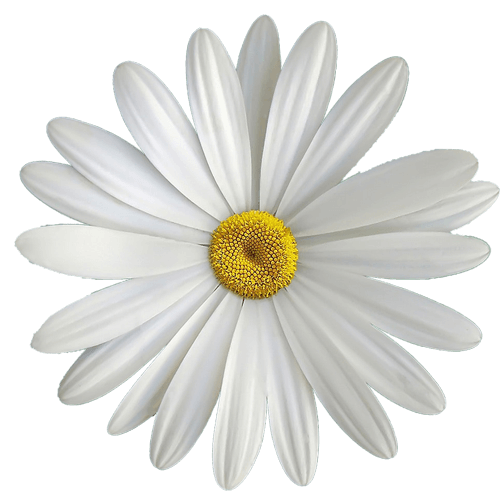 She is a highly skilled and experienced, professionally trained florist, who understands that a big part of her job is listening to her clients needs. Specializing in weddings, her creative flair is equaled by her attention to detail. Rose is so delightfully engaging that her wedding couples are soon put at ease and talk freely about what they want and how they envisage their flowers thus enabling her to transform the client’s ideas into stunning floral designs. Rose’s incredibly high standards means wedding creations never leave The Topiary Tree without her approval. She is bubbly and vivacious and just a tiny bit loopy! We are committed to creating beautiful floral arrangements for every occasion. Whether you’re celebrating an important Anniversary, Birthday or sending flowers ‘just because’…. we can create something unique, beautiful and memorable. 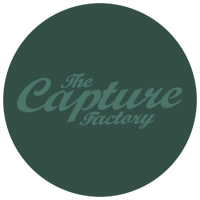 Offering same-day delivery throughout Stoke-on-Trent, you can count on us to delivery competitively priced, original and breath-taking designs. If you’d like to mark a special occasion and put a smile on somebody’s face, our friendly team of expert florists will help you choose the right flowers. It is our great honour to be in the ‘Dream Team’ for The Ashes Country House Barn Wedding Venue in Staffordshire, and you can be sure of inspired design and skilled craftsmanship combined with a professional approach from The Topiary Tree.